Buckminster Fuller had an unusual way of talking about stairs. Instead of downstairs and upstairs, he encouraged people to say instairs and outstairs. “They all laugh about it,” he wrote, “But if they try saying in and out for a few days in fun, they find themselves beginning to realize that they are indeed going inward and outward in respect to the center of Earth, which is our Spaceship Earth. And for the first time they begin to feel real reality.” 3 Writing in 1970, at the dawn of extra-planetary space travel, Fuller identified a break in humans’ spatial perception. Standing on Earth, we see the ground plane as flat, but we know the planet is a sphere. To describe motion and existence in a vast universe, where planetary surfaces are the exception, we would need a new language. To describe motion and existence in a vast universe, where planetary surfaces are the exception, we would need a new language. We can imagine the International Space Station crew living in a very tall building with all the intermediate floors removed. Space is a place, but to be anywhere in that place is to be in motion. Astronauts on the ISS say “on orbit” instead of “in orbit,” and they use the nautical terms forward, aft, port, and starboard. Fuller’s “in” toward Earth is deck and “out” is overhead. These standard directions are labeled at every module junction, and they determine the uniform orientation of wall-mounted equipment. 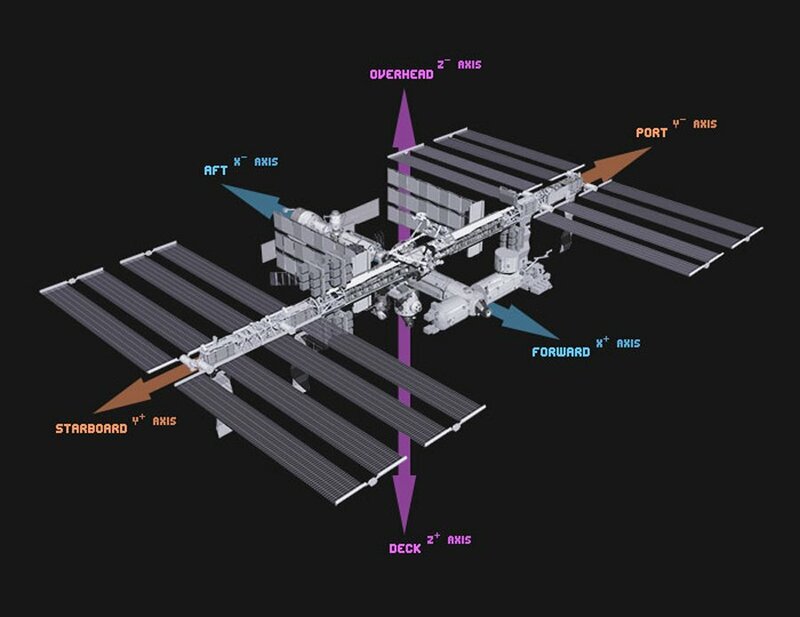 The ISS has ten main capsules, built in four countries, and their alignment on the same spatial axis helps avoid confusion, mitigate motion sickness, and promote community among the international crew. 5 This architectural scheme also reaffirms a connection to Spaceship Earth. Since the bodies of the crew are in a familiar relationship with the ground plane far below, we can imagine that they are in a very tall building with all the intermediate floors removed. A half century ago, the Princeton physicist Gerard O’Neill proposed a more radical break with the planetary surface. In the fall of 1969, after the Apollo 11 moon landing, he led a seminar of advanced freshman students to consider the spatial needs of an “expanding technological civilization.” 6 The students evaluated different environments in terms of access to energy, materials, and waste disposal, and they concluded that high orbit would be the ideal location for new settlements. Orbital factories could use material from the Moon to make energy satellites, while orbital habitats could accommodate thousands of factory workers, and eventually a population of millions. They would occupy a relatively stable place in space, at the Lagrange Points, areas in high orbit where the gravity between large bodies balances out to create invisible hollows. O’Neill and his students worked out the engineering in rough detail, calculating material stress, light levels, atmospheric compositions, and the spin rate for producing artificial gravity through centrifugal force. 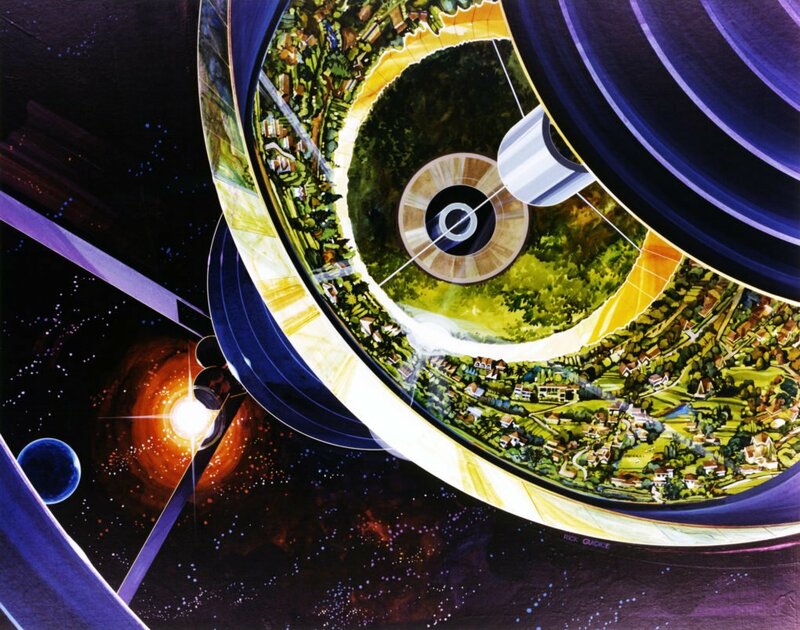 They believed large-scale space habitats could be built within 25 years using existing technology. In the 1970s, Princeton physicist Gerard O’Neill proposed a more radical break with the planetary surface. In 1975, O’Neill convened a “summer study” at Stanford University to refine and visualize these proposals. With funding from NASA, he brought together engineers, space scientists, and physicists, along with artists, urban planners, and architects, for an “exercise in systems design.” Among this group were the multitalented artist-designers Rick Guidice and Don Davis, whose collective experience included science-fiction film posters and book covers, video game art, advertising, and architectural design, as well as science illustration. Their renderings of O’Neill’s space habitats included thirteen large-scale paintings in watercolor, acrylic, and gouache, showing both interior and exterior views, with an emphasis on the unnatural scale and perspective geometries of these new spaces and forms. The O’Neill Cylinder, Stanford Torus, and Bernal Sphere, were, as their names suggest, volumetric primitives. The designs answered simple requirements: isolate a controlled interior from an alien and hostile exterior, enclose a large volume within a comparatively small surface, and spin on one axis to create a centrifugal force in lieu of gravity. Instead of the profusion of chambers and capsules that make up the ISS (and its Soviet predecessor, Mir), O’Neill and his colleagues imagined the interior as one large habitable environment. The Bernal Sphere designed at the Summer Study had a 900-meter radius and spin rate of one revolution per minute. 7 If you were inside this habitat, standing near the sphere’s equator, you would feel a sensation similar to gravity on Earth. You would see the landscape curving upward as the habitat rotates and, directly overhead, the roofs of buildings on the other side of the sphere, just over a mile away. The people there would appear from your perspective to be standing upside down. Away from the equator, spin gravity would approach zero, and at the center axis of the sphere’s rotation, you could fly. To help weigh these considerations, the report included a chart comparing the proportion of a habitat’s interior surface that could be seen from a given vantage point. For the Bernal Sphere and O’Neill Cylinder, this value is 1; the whole habitat is visible at once. For the Stanford Torus, it is less than 1/3. In fact, the restricted sightlines of the Torus were among the factors that led the authors to recommend it as the preferred option for a first built project. The Torus was also smaller than the other designs, accommodating only 10,000 people, compared to 75,000 in the Bernal Sphere, and 820,000 in the O’Neill cylinder. Dr. Ashton Graybiel’s experiments had subjects living in a 22-foot diameter spinning room for up to one month at a time. All three habitats defied Bucky Fuller’s coordinates. On the surface of a planet like Earth, we can imagine “down” (or in) as a vector passing through our body toward the planet’s center. Down starts at our feet. But in spin gravity, down is a vector pointing away from a shared center. Spinning around the center axis of an O’Neill Cylinder, Bernal Sphere, or Stanford Torus, we lose track of the comforting presence of Earth’s (illusory) ground plane. The Torus designed at the Summer Study had an aluminum skin less than three centimeters thick. 10 If that boundary were breached, anything lost through the hole would fall “out” at a speed of about 200 meters per second, likely ending up in an independent — and possibly unrecoverable — orbit around the Earth. Just thinking about that could be enough to induce vertigo among the inhabitants. As Sun-Ra said, space is a bottomless pit. O’Neill and his colleagues debated whether human minds and bodies could withstand these conditions. Would living in a rotating environment — even one with a spin rate so low that it didn’t disturb Graybiel’s subjects — create long-term stress on the inner ear? Would working in zero gravity, even for short periods of time, tax the body as it alternated between no weight and a normal weight? Would exposure to background radiation affect general health and immunity? Would isolation, or more specifically the knowledge of that isolation, create emotional stress? Would these incremental stresses add up, or even create exponential feedback loops, causing inhabitants to collapse, physically and psychologically? The researchers spent so much time discussing these concerns that they hardly considered the potential benefits of living within the new geometries. Yet the appeal was expressed vividly in the Summer Study renderings, which is partly why these extraordinary images have endured. In 2009, Jack Schulze of the British design studio BERG created two maps of lower Manhattan that show the landscape curving up and over the viewpoint, as if New York were inside an O’Neill Cylinder. The simultaneous visibility of near and far is exploited here for wayfinding, which the designers call a “superpower,” or “the ability to be in a city and see through it.” 11 A version of this superpower shows up in Christopher Nolan’s 2010 film Inception, in which characters trained as architects manipulate the space of dreams by folding cities up and over themselves, making connections between distant points. Space is also curved in the title sequence of the fantasy television series Game of Thrones, which establishes the geography of the show’s imaginary world. The directors had initially wanted the camera to fly above a 3D rendering of a stylized tabletop gameboard, but that didn’t work: “You couldn’t really tilt the camera up very far because it raised the question, ‘What’s beyond the map?’” 12 The designers solved the problem by modeling a clockwork world wrapped around the interior of a giant sphere, which was lit by a fiery astrolabe lamp. Since the horizon always curved up and away, questions about where this world was located could be avoided. These examples imagine the “Solipsism Syndrome” as a constructive force, holding together miniature worlds whose legible, curved surfaces hide the nature of a hostile, unknown space beyond. The environment is graspable, manipulable. It can even be created from scratch by the perceiving subject. The landscape is there for you, the observer, to use and explore. In contrast, the strange and dangerous environment of “outer” space is unknowable without technological mediation. In a curved miniature world, the environment is graspable, manipulable. The landscape is there for you, the observer, to use and explore. An earlier use of wraparound surfaces to normalize and tame difficult or overwhelming environments can be found in cyclorama paintings from the 18th and 19th centuries. The dramatic Atlanta Cyclorama (1886) depicted a Civil War battle wrapped around the interior of a giant cylinder, 45 feet tall and 114 feet across. Visitors entered from a hole in the center, and as the cylinder slowly rotated around them, the carnage and confusion of the battle was turned into narrative — originally with live accompaniment by veterans. Hundreds of cycloramas like this were produced before the invention of movie screens, offering an immersive experience of environmental mediation. Similarly, the large-scale sublime landscape paintings of the Hudson River School presented a notional American wilderness to the gallery visitor. Today’s analogue to the cyclorama is the virtual reality headset, which renders a scene in a 360-degree bubble around the perceiver, like a personal virtual Bernal Sphere. Architectural history provides further precedents for the Summer Study. In Étienne-Louis Boullée’s unbuilt Cenotaph for Isaac Newton (1784), the architect drew a single spherical volume, which visitors entered from the bottom, on a center axis below a suspended sun lamp. The curved surface of the floor rose smoothly to form a dome 500 feet high. Daylight streamed into this chamber through thousands of small holes, so that it resembled a planetarium. In another unbuilt project, Boullée imagined the Royal Library (1785) as a cylindrical space, with book stacks rising in tiers like building terraces, completing the interior curvature. Ceiling coffers picked up this rhythm and carried it to an overhead skylight that divided the cylinder into thirds. The bookshelves’ relationship to this opening suggested that, in the Age of Reason, knowledge and light had a kind of equivalence. Within the space of a Bernal Sphere or Boullée’s Cenotaph, what is outside no longer matters. It’s a void — an absolute, infinite void — but it may as well be a hard solid. “Space is hard,” scientists tell one another when things go wrong. 14 Lacking air, filled with radiation, ranging in temperature from absolute zero to burning hot in the unfiltered glare of the Sun, “outer” space cannot be experienced by humans without mediation. We need constructed bubbles of warmth and comfort. We can imagine the spacesuit itself as a kind of personal spaceship, or a super-room. Similarly, the contours of the Summer Study designs represented a literal closure, sealing off a habitatable environment from the vacuum of space. Within the space of a Bernal Sphere or Boullée’s Cenotaph, what is outside no longer matters. It’s a void — an absolute, infinite void — but it may as well be a hard solid. Étienne-Louis Boullée, Cenotaph for Isaac Newton, 1784. Étienne-Louis Boullée, Royal Library, 1785. On Earth, as on the International Space Station, the collective misperception of a flat plane helps build community and culture. We are all equal in our geometric relationship to one another. The reality, of course, is that we do not stand parallel. Each of our bodies corresponds with a distinct radial vector on the surface of a sphere, pointing away from a common center that we can never perceive or occupy. Our vectors diverge by imperceptible angles. In “inside-out” worlds like the Bernal Sphere and the concave Earth, the situation is reversed. Our feet all point outward, into an inaccessible, but technologically habitable void, while our heads point inward, some of us apparently “upside-down.” Standing, we rise toward a visible center, which can be reached simply by climbing a hill, strapping on wings, and jumping into the air, as low-tech as Icarus. On the convex Earth, the horizon is an unreachable asymptote; it recedes as we approach. But in practice it’s the gateway to the rest of the world, through circumnavigation. “Traveling around the world” has become a cliché metaphor for personal change and development because of the immense effort the journey requires. Famously, Ferdinand Magellan, the first person known to have organized a trip around the world, did not survive the voyage, which astronauts orbiting on the ISS complete 15.5 times a day. Visual futurist Syd Mead, whose design credits include Blade Runner, Tron, Aliens, and Elysium, called this the “inverse perspective,” where “the ground plane goes up out of sight, up into the ceiling.” 19 In Mead’s interior view of a Stanford Torus, painted for National Geographic in 1980, space is continually warped. Lines on parallel planes converge not to a single vanishing point, but rather to a series of points on a vanishing line, which forms a kind of vertical horizon. When Rick Guidice illustrated the Stanford Torus and Bernal Sphere, he rotated the painting surface while executing close details, so that small patches of local space roughly conform to conventional perception, even as the overall picture is defamiliarized. Space curves at the large scale, but each individual line is straight and ruled. In Mead’s interior, by contrast, local elements follow the same subtle, flowing curve that animates the whole. (For example, look at the floating slab building with strip windows on the left side of the composition.) Guidice’s view suggests that a person living in a Torus could interact with architectural components that remain individually unaffected and therefore familiar, while Mead imagines that even the smallest structures would bend to conform with the space’s overall geometry. We know from experiments like Graybiel’s that human vision does not always match bodily forms of perception. In a proper Torus, an inhabitant occupying any large flat element locally perpendicular to the spin axis would feel like each end was pointing slightly “downhill.” Perceptual modes would decouple as the observer moved along the object, further from the center. Some of the questions we might ask of the Bernal Sphere were articulated by its namesake, the British polymath and communist John Desmond Bernal, whose speculative 1929 pamphlet The World, the Flesh, and the Devil, an Enquiry into the Three Enemies of the Rational Soul influenced generations of space scientists and sci-fi authors. Bernal foresaw a medium-term future in which abundant energy and resources would pose new opportunities and challenges for humankind. 23 He imagined an expanding, curious, resource-hungry population building spherical space settlements. Bernal’s original spheres were much larger, many miles in diameter. Their shells were permeable membranes involved in processes of mitigation, mediation, nourishment, and interaction. Bernal’s original spheres were much larger than what O’Neill proposed, many miles in diameter. They orbited the Earth or Sun but did not spin and thus had no gravity. And instead of treating the hard shell as an absolute enclosure, Bernal conceived the boundary area as a series of layers, each with different functions, some protective, others assimilative. His sphere lacked the absolute hermeticism that the psychologists and designers who participated in the Summer Study feared and hoped for. 24 The outermost layer was hardly even material; it was an energetic system that could detect and deflect incoming matter with “jets of high speed gas or electrons” and maybe even break this mass into component elements that could be used for construction and expansion. 25 The next layer in was a transparent shield that would keep out solid matter but allow sunlight and radiation to pass to a third layer, where food was grown. The fourth layer circulated matter and energy, and the fifth was for material storage, raw elements hardened into stock. Bernal envisioned that these layers would be made from the direct production of high performance designer matter, after a future breakthrough in materials science. Inside all those layers of biomimesis was the machinery that would regulate and produce human life. And inside that was the habitat itself, which could be an open public space accessible by humans with attached wings, or else partitioned off for privacy by reconfigurable smaller bubbles. This is a paradox. The Summer Study habitats required isolation, and this isolation was figured in the form of a flat curve rotated in space around a center axis, enclosing the interior in an aluminum or titanium shell. And yet this formal isolation — along with other design elements that reinforced a common center — could create feelings of alienation, or solipsism, within an individual human or a human culture. Glaeser’s understanding of a hard shell as a “given” within which humanity must be mediated and nurtured by architectural intervention is undermined by Bernal’s conception of the possibilities opened up by altering human existence itself. Bernal’s shell was not an enclosure but a permeable membrane involved in processes of mitigation, mediation, nourishment, and interaction with other shells. How we visualize ‘outer’ space, and how we choose to talk about it, can influence how we think about environmental conditions on and off our home planet. How we visualize “outer” space, and how we choose to talk about it, can influence how we think about environmental conditions on and off our home planet. Do we imagine space as a hard, uninhabitable solid? Or as a softer medium, a potential source of energy and matter, perhaps even an environment that is home to friends and neighbors? The membrane layers of Bernal’s original spheres mediated and translated the purple, orange, red, and infrared medium of space into frequencies and resources legible to humans. Bernal imagined “spatial colonies,” networks of spheres, connected by radio waves, transportation, and the transmission of sensory data not even invented yet. And those spherical interiors were wholly accessible and reconfigurable by occupants. His concept resists isolation and solipsism and retains the sense that play and manipulation are possible within a pocket world. If we know that there are friends and resources outside the sphere, and that we can do pretty much whatever we want inside the sphere, then we might feel better about living in a bubble far from our home planet. It’s all just part of the foam. In this way, Bernal’s spheres satisfy Glaeser’s call for a systems approach, rather than a static image of the space habitat. Too often, we take for granted the apparently solid, stable, planar ground of our home planet. 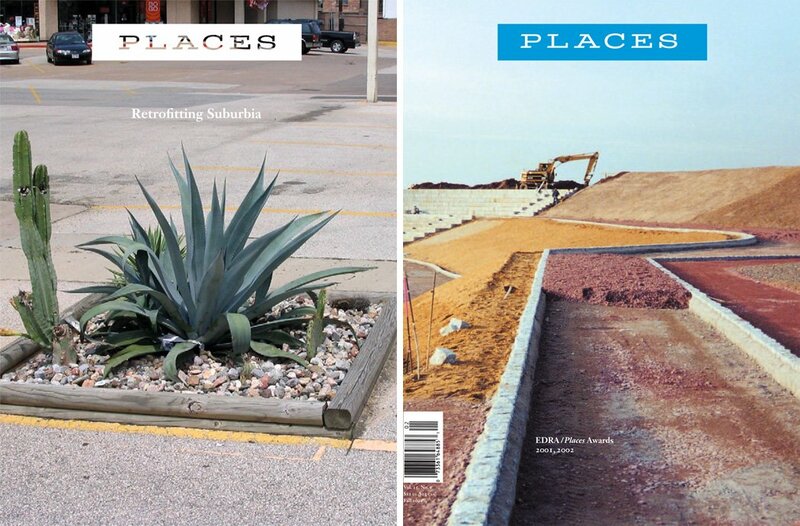 We also take for granted that its spatial metaphors will translate to other states, forms, and spaces. On or near the surface of the Earth, we enjoy a correspondence between our spatial precepts and concepts. The nature of “outer” space questions those assumptions, and breaks apart those alliances. So do the strange geometries and spatial conditions of O’Neill’s Cylinders, Spheres, and Toruses. If Bucky Fuller is right, that the spatial schema we use on Earth is inherently limited and limiting, then the conception of new “outer” spaces is vital. The split Fuller identified in his riff on instairs and outstairs is one of many fractures opened during the process of thinking about and designing spaces for humans off of Earth. Glaeser’s position, which takes for granted the hard shell and the static nature of humans, might conceal still more splits yet to be explored. New images of space are necessary, but so are new systems, open-ended, within and without. This essay is adapted from the first chapter of Fred Scharmen’s Space Settlements, which will be published later this year by Columbia Books on Architecture and the City. It appears here with the permission of the author and publisher. Some of the ideas developed here were earlier advanced in “Ground Into Sky: The Topology of Interstellar,” in The Avery Review, in March 2015. I am grateful to Jesse Connuck and James Graham at Columbia Books on Architecture and the City for their ongoing work on the larger project, of which this is just a small part. Thanks also to Josh Wallaert and everyone at Places for their assistance with this excerpt. Research for Space Settlements was supported by Morgan State University’s School of Architecture and Planning, and by a generous grant from the Graham Foundation for Advanced Studies in the Fine Arts. Quoted in Stewart Brand, ed., Space Colonies: A Coevolution Book (Sausalito: Whole Earth Catalog, 1977), 5. Space Is the Place (Plexifilm, 1974), directed by John Coney, script by Sun Ra with Joshua Smith. R. Buckminster Fuller, Intuition (New York: Doubleday, 1972), 103–04. George M. Young, The Russian Cosmists: The Esoteric Futurism of Nikolai Fedorov and His Followers (Oxford: Oxford University Press, 2012), 50. See Sandra Hauplik-Meusburger, Architecture for Astronauts: An Activity-Based Approach (Wien: Springer, 2011), 280. Hauplik-Meusburger notes, further, that the standardized orientation of ISS modules and systems makes it easier to train astronauts on Earth, using mockups subject to gravity. Stewart Brand, interview with Gerard O’Neill, “Is the Surface of a Planet Really the Right Place for an Expanding Technological Civilization?,” in Space Colonies, op. cit., 22. In a 1974 article for Physics Today, O’Neill had imagined a smaller sphere, but the physiology experts at the 1975 Summer Study argued that it would spin too fast, causing some people to get sick, so the dimensions were revised upward in the official report. NASA, Space Settlements: A Design Study, Richard D. Johnson and Charles Holbrow, eds., (Washington, DC: Scientific and Technical Information Office, National Aeronautics and Space Administration, 1977), 29. Jerry Grey, ed., Space Manufacturing Facilities (New York: American Institute of Aeronautics and Astronautics, 1977), 137–49. NASA, Space Settlements: A Design Study, 111–12. BERG London, “Here and There: A Horizonless Projection in Manhattan,” 2009. Ian Albinson, interview with Angus Wall, “Game of Thrones,” Art of the Title, May 11, 2011. For more on Boullee’s Cenotaph, see Colin Rowe, “The Architecture of Utopia,” Granta (1959), republished in The Mathematics of the Ideal Villa and Other Essays (Cambridge: MIT Press, 1995), 210. See, for example, Loren Grush, “Stop Saying ‘Space Is Hard,’” The Verge, June 29, 2015. Koresh, The Cellular Cosmogony: Earth Is a Concave Sphere, with Proof (Central, Hong Kong: Forgotten Books, 2007). For a treatment of this concept within science fiction, see Cixin Liu, “Mountain,” in The Wandering Earth (Beijing: Beijing Qingse Media Co, 2012). In the story, Earth is visited by extraterrestrials who have evolved in a “bubble world,” a hollow void filled with vacuum at the center of their planet. To travel in space, they first had to learn to tunnel through the solid rock that surrounded their hollow world. After burrowing through the mass of their planet, they found themselves at the bottom of a globe-encompassing ocean, which subsequent explorers had to then navigate to the surface, before discovering how to launch themselves into orbit. Jack Williamson, “The Prince of Space,” Amazing 6 (January 1931), 870–95. Matt Patches, interview with Syd Mead, “Talking to Syd Mead: The Visionary Behind Elysium, Blade Runner, and 40 Years of Sci-Fi,” Vulture, August 8, 2013. Ralo Mayer, “Beyond the Blue Marble: Artistic Research on Space and Ecology,” Acta Astronautica 128 (December 2016), 573–79, http://doi.org/f9bddp. Shopwork, Ships Not Shelters, 2011. Felicity D. Scott, “Earthlike,” Grey Room 65 (Fall 2016), 6–35. John Desmond Bernal, The World, the Flesh, and the Devil: An Enquiry into the Future of the Three Enemies of the Rational Soul (London: Jonathan Cape, 1929). For a similar treatment of membranes mediating between human bodies and the harsh environment of space, as a series of specialized layers, see Nicholas De Monchaux, Spacesuit: Fashioning Apollo (Cambridge: MIT Press, 2011). Bernal, The World, the Flesh, and the Devil. Peter Sloterdijk, Bubbles; Spheres I: Microspherology, trans. Wieland Hoban (Los Angeles: Semiotext(e), 2011). Author’s interview with Rick Guidice. The imaginative possibilities of miniature things lie not in their being shrunken versions of a larger thing. The world of the miniature opens to reveal a secret life. Fred Scharmen teaches architecture and urban design at Morgan State University. He is the co-founder of the Working Group on Adaptive Systems, in Baltimore, Maryland.